I met Sir Peter just once, briefly, when he kindly took time between Cheltenham commentaries to sign my copy of his autobiography Calling the Horses. I last saw Hugh McIlvanney in 1996, throwing two large lumbering drunks out of the press tent at Aintree. 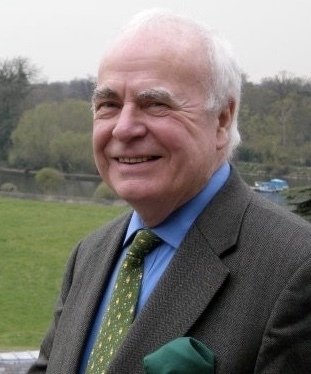 Hugh McIlvanney delivered the following eulogy during the memorial service for legendary racing broadcaster Sir Peter O’Sullevan at St Luke’s Church in Chelsea on Tuesday. HONOURS and achievements didn’t define Peter O’Sullevan, though he accumulated plenty of them during his 97 years. His career was a series of towering successes but his truest triumph was his nature. After Sir Peter died at the end of July, naturally I thought long and hard about what I could write in an attempt to come somewhere close to suggesting the effect he had on so many of us. It seemed then and does now that probably the simplest tribute suited him best: he was great company. Obviously what that means is more than that he swelled the pleasure of a day’s racing or a party or one of those meals stretched to leisurely duration by good food and wine and interesting talk and much laughter. Peter didn’t just enhance occasions. He enriched lives. The world was lucky to have his company for so long. When the great American sports writer Red Smith delivered the eulogy at the funeral of a friend, Red began by saying: “Dying is no big deal. The least of us will manage that. Living is the trick.” Nobody I have known pulled off that trick more effectively or stylishly than Peter. However much he knew about racing or broadcasting or journalism, he knew rather more about life. Being a knight fitted him well enough but it was among his lesser distinctions. The heights he achieved professionally — the deserved acclaim as an exceptional racing journalist in print and recognition as one of the greatest commentators sports broadcasting has produced – cannot fully account for the effect he had on people, whether they were close to him or only acquainted at a distance through his work. Of course, sheer longevity partly explains why so many felt pangs of personal loss when Peter died. He was part of the national fabric as far back as a majority of the population can remember. But wasn’t there something extra in the country’s awareness of him? Even those who knew him only through his commentaries may have discerned that more than extreme expertise, authority and an invitation to trust was being conveyed by the wonderful voice maintaining elegant fluency while describing the most hectic action. It always seemed to me that the airwaves carried hints of the rounded personality at the microphone, clear traces of a civilised worldliness, a breadth of experience. His was, in the best possible sense, a knowing voice. Yet his upbringing was sufficiently privileged to make resistance to an insular outlook unlikely. A boy taught to drive before he was ten by the family chauffeur, and who had been taken even earlier by the head groom to exult in riding his pony round Tattenham Corner, might have imagined all that lay ahead was indulgence of a lifelong love of horses and cars. But any danger of presuming entitlement to an easy passage was curtailed by the onslaught of the health problems that dreadfully afflicted his childhood and youth. He endured chronic asthma, potentially deadly bouts of pneumonia and, later, a virulent form of acne that was related to his respiratory weakness and would be even more of a psychological than a physical trauma. During his years at preparatory school and then at Charterhouse, the ailments were borne with a courage that allowed him to shine at cricket and football. Less conspicuous to the masters was his enthusiasm for studying and wagering on the athletic prowess of thoroughbreds and greyhounds. From boyhood onwards, punting was for him one of the intrinsic thrills of racing. He was adamant that an editor should never employ a racing correspondent who didn’t bet. His own wagers could be hefty and his determination to gain an edge in the odds was tireless and sometimes mischievously ingenious. A couple of examples were recalled for me recently by Wally Pyrah, who was a lively and likeable character around British racing for a number of years and is now adding to the gaiety of the sport in Hong Kong. Wally, who was representing the Coral bookmaking chain at the time, returned home one day to find his mother praising the charms of a sweet man called O’Sullevan who had telephoned and asked her to take down the details of a bet he was sure her son would be happy to accommodate. The wager was £10,000 to £700 each way on Trainglot for the………Cesarewitch, a bet at odds a shade better than 14-1. The trouble was that Trainglot’s price had already tumbled that day to around sevens. It would fall further before he won the Cesarewitch by four lengths. A bet of £5,000 to £500, sealed by the lift doors, didn’t exactly bring joy to Mr. Pyrah. At least it hadn’t been struck with his mother. If Peter was a hard player of the betting game, he had needed toughness of a deeper kind to cope with the torture of his diseases. Nothing was recollected with more pain than what he called his Phantom of the Opera time, the period in his mid-to-late teens when he wouldn’t venture out of hospital without wearing a medicated mask, through which he could see but not be seen, and when he searched London for the coffee bars and milk bars where the lighting was dimmest. How much of a connection was there between the grim reticence of those years and the fact that his intense, and fully realised, ambition to have a telling impact as a TV broadcaster never went with the slightest eagerness for appearances on the screen. He was happy that his fame throughout racing and beyond was as The Voice. It was difficult to relate that sadly furtive figure of the acne agonies to how he was in his maturity, when the handsome, urbane and immaculately tailored presence generally exuded more effortless composure and social ease than anybody else in a room. That was true whether he was mixing with royalty, as he not infrequently did, or with betting shop punters. His youthful spell in Switzerland for treatment of his asthma gave him the knowledge of French that was such an asset as he rose to prominence in the racing media. No one had better access to the powerful stables of France. His Francophile enthusiasm also showed, of course, in his eating and drinking tastes and in his devotion to the Prix de l’Arc de Triomphe. He first attended the race in the 1930s and from the 1940s until 2012 he insisted on driving himself annually to Paris to watch Europe’s best mile-and-a-half horses compete. And behind the wheel at 94 he was still giving a fair impersonation of a getaway driver in a bank robbery. A streak of the daredevil had emerged much earlier as he performed his wartime duties with the Chelsea Civil Defence Rescue Service. Declared medically unfit for the armed forces, he settled for driving stretcher parties to the scenes of havoc caused by bombing, and assisting them with the handling of casualties — and, all too often, of bodies. Explaining his reputation for making light of danger, he said that, given the miseries with his health, he hardly cared whether a bomb or a building fell on him. In the midst of the horrors of the war, he still found time and energy for the more agreeable risks of riding, backing and, with amazing precocity, owning racehorses. His racing colours — black, yellow crossbelts, with a yellow cap – were registered as early as 1940. Those colours were attached to many moderate animals but they were also carried to glory in major races by the mighty sprinter Be Friendly and the dual-purpose marvel Attivo. 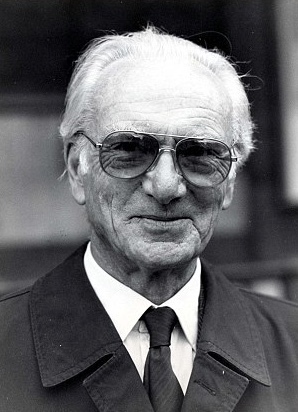 O’Sullevan’s masterly combining of vividness, controlled excitement and objectivity was never more impressively demonstrated than when he was describing the victories of his two favourite horses to his BBC audience. The owner’s pride never intruded. Professionalism raised to the level of an art distinguished his broadcasting. Comprehensive familiarity with his material was reinforced by relentlessly conscientious preparation for a job, a journalistic application that had been evident since his beginnings with the Press Association and which shone through his informed and entertaining copy for the Daily Express, in whose pages his alliance with Clive Graham represented an incomparable double-act. He was on personally close terms with several geniuses of the Turf, none more so than Lester Piggott, and that was an advantage he cherished. Assured use of language gave his commentaries a clarity and coherence, sometimes an eloquence, that set them apart from anybody else’s race descriptions. And always, like a steady beat, there were the perceptive assessments of the significance of fluctuations in the action. All those qualities made me feel back in 1973 that it was permissible hyperbole to write that “had he been on the rails at Balaclava, he would have kept pace with the Charge of the Light Brigade, listing the fallers in precise order and describing the riders’ injuries before they hit the ground”. He was in a league of his own. When operating professionally, he liked to be something of a lone wolf but when relaxing among friends he could, well into his nineties, be convivial on a scale that exposed non-stayers in his company. Mike Dillon and I used to meet up with him sporadically for restaurant lunches that usually lasted until the tables were being set for dinner. As Mike said, with Peter you could count on going to extra time and penalties. After one spectacularly lubricated lunch, the Dillon man and I escorted the master back to the door of the Chelsea flat that he and his beloved wife Pat (who died on New Year’s Eve 2009) had shared for nearly 60 years. Then we rang the doorbell and made a hasty escape. Pat was a sweetheart but she could turn on the Lady Bracknell disdain when required, and we didn’t feel strong enough to withstand it. An exception to the extra-time tradition occurred when a restaurant Peter had chosen failed to provide the standard of fare or service he expected. The result was one of his celebrated letters. Mainly they were messages of thanks, reflecting his habitual courtesy, but this one was an example of his talent for acerbic reprimand. And if Peter thought you were out of order and decided to let you know, either verbally or with the pen, the point would be made in sentences of flawless grace and precision. It was like being handed an ornate silver casket containing your mutilated ego. Even when Peter was expressing his softer feelings a steely strength was never hard to detect. I would occasionally question what I regarded as the extremes of his anthropomorphic attitudes to pets and other animals, such as having custom-printed stationery bearing the name Topolina O’Sullevan. Topolina was one of the succession of French poodles he and Pat adored. Peter’s response to my eyebrow-raising wasn’t noticeably gooey. He said: “I just can’t see harmony breaking out in the human race until we start treating the lesser species better. We can’t claim to be civilised while we are brutally abusing fellow creatures as we do.” Human and animal welfare causes have benefited by millions from the charitable trust established in his name. The ever-chivalrous O’Sullevan might have avoided categorising any girl as homely, but quite a few of us here have had reason to be grateful that he was always in favour of forgiveness of sinners. Of course, if you want to give Peter’s ghost a little additional pleasure — get on at 7-2 when all around you have to be content with 9-4.